The January 2017 issue of On The Pegs is LIVE and it features an interview with eight-time US MotoTrials Champ Pat Smage and his minder, six-time US MotoTrials Champ, Ryan Young. 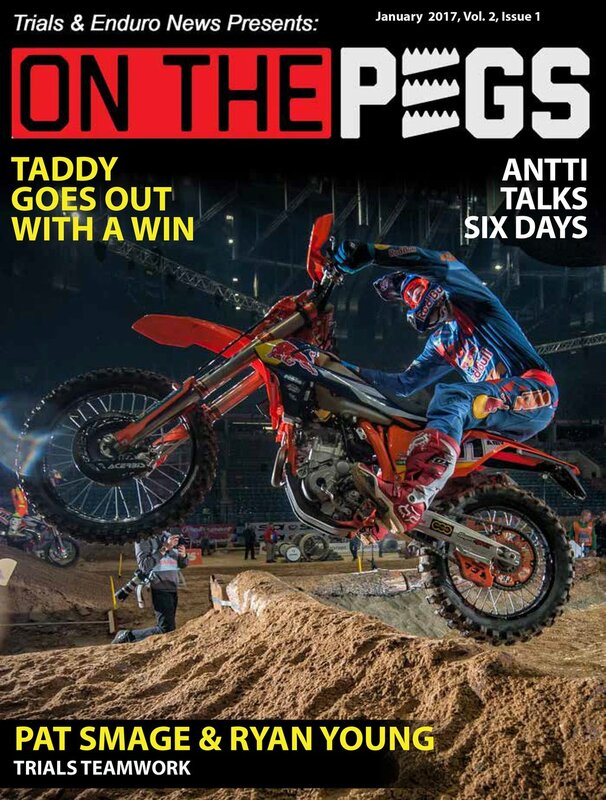 Interviews with US ISDE team manager Antti Kallonen and Taddy Blazusiak are also featured. We also take a look at the Beta EVO and 2017 Sherco ST trials bikes. Click HERE or on the cover image below for the January Issue. CLICK ON THE COVER NOW TO READ THIS ISSUE.